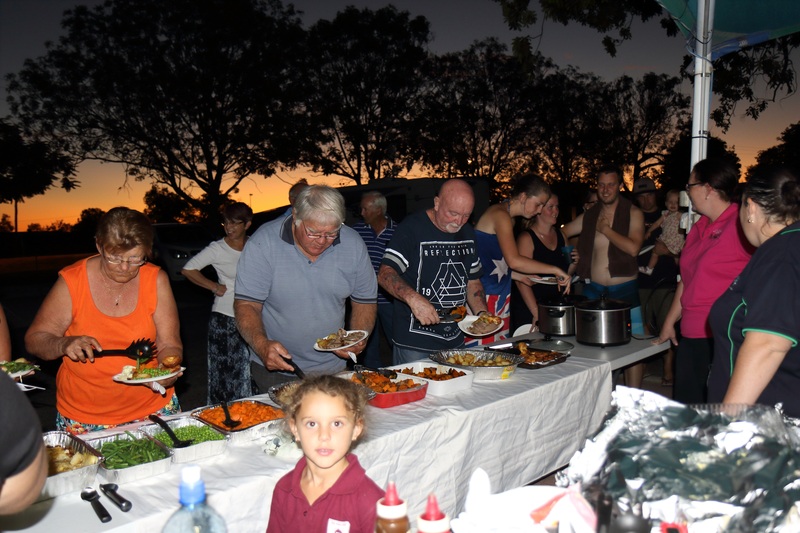 Each week during the tourist season, one of the Community groups holds a dinner at the caravan park. The variety of meals is endless with everything from a good old barbecue to a full roast dinner, including dessert. We have some of the best home cooks anywhere and the cost is always very affordable. After a long day on the road visitors love to arrive and not have to prepare a meal and of course that means having extra time for happy hour to meet fellow travellers and exchange travel tips. These dinners are a great social night and provide a much needed boost to the fund-raising efforts of the community. Most of the groups are self-funded and provide very necessary services to the town. It is also a wonderful opportunity for visitors to the region to meet some of the local residents.